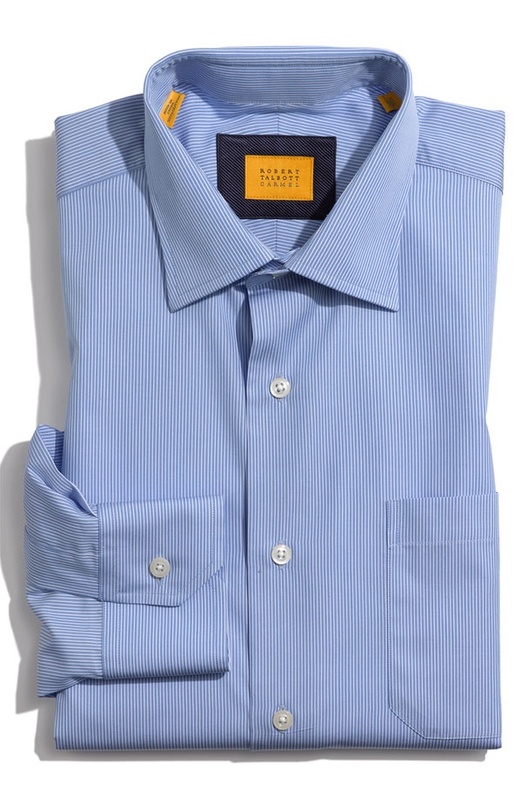 Robert Talbott goes blue with this traditional fit cotton dress shirt. Featuring a spread collar, single-button cuffs and a chest pocket, the handsome dress shirt with subtle white pinstripes has you ready for a business meeting or nice night out. Check it out online. This entry was posted in Dress Shirts, Tops and tagged Robert Talbott. Bookmark the permalink.